I've no tattoos of my own. But this is one very intriguing design. 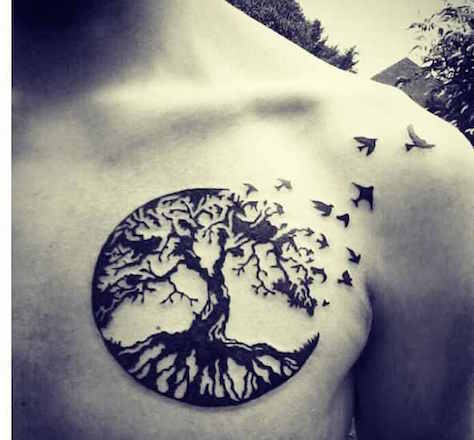 Of course I love the tree of life motif. But breaking away on the one side and the implied motion of bird-flight. That is inspired. Enjoyment is always better when shared.